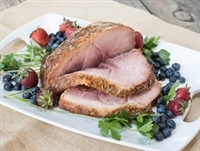 Eight Plates Farm is a family-run farm, specializing in high quality, pastured beef and pork for your table. In the midst of busy lives and schedules we want to provide you with high quality nutrition and taste, whether it’s a crock pot meal for the family or a gourmet dinner for an event you are holding. Savor the moments and taste with Eight Plates Farm meat for any occasion. We love our farm lifestyle and the life lessons it provides for our children. We relish the time we have on the farm, whether it is moving the cattle to new pastures every other day, observing our baby piglets, or planting black beans in our fields. We continue to strive to work with the environment around us in hopes of making our farm more sustainable every day for future generations. 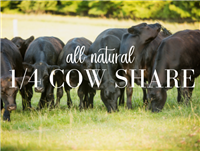 From our farm to your table, check out the products and meat that we offer for your family, and reach out with any questions that you may have! 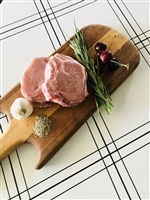 Please read our "Understanding Meat Share" subcategory for more info. Beef will be need to be picked by you at the butcher.